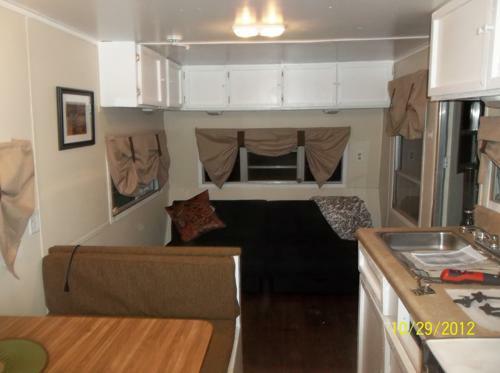 This travel trailer remodel started with a rough looking “canvas” before the painter took the brush to it. 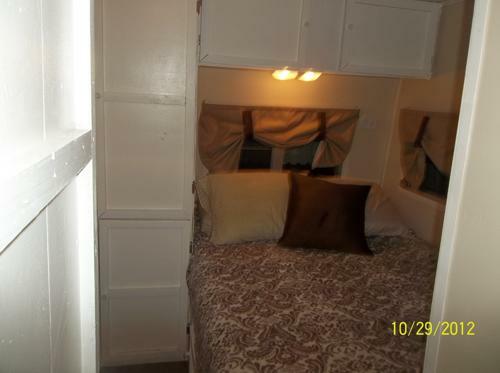 1985 Fleetwood Resort was given a second chance. 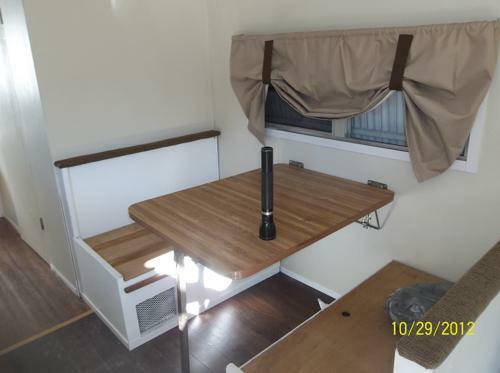 This travel trailer remodel is not so different from the others we have showcased here at DoItYourselfRV, but this particular travel trailer remodel started with a very rough looking “canvas” before the painter took the brush to it. 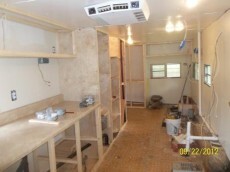 This travel trailer remodel started with a 1985 Fleetwood Resort 28’ travel trailer. 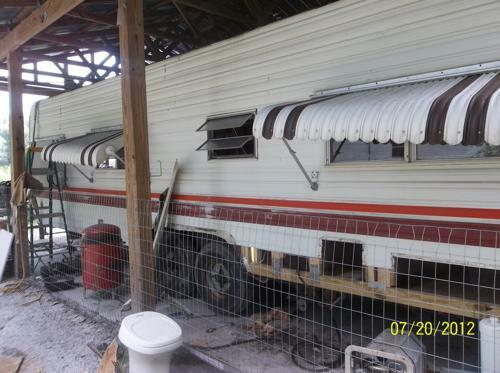 To say this RV had fell into disrepair is a total understatement. 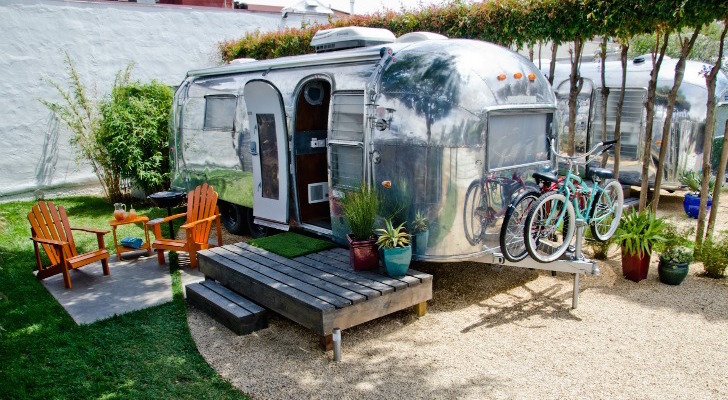 You name it, this travel trailer had it. 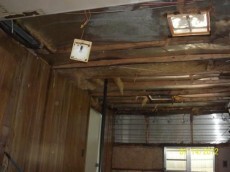 It had water damage, rotted wood, walls loose from the chassis, etc. 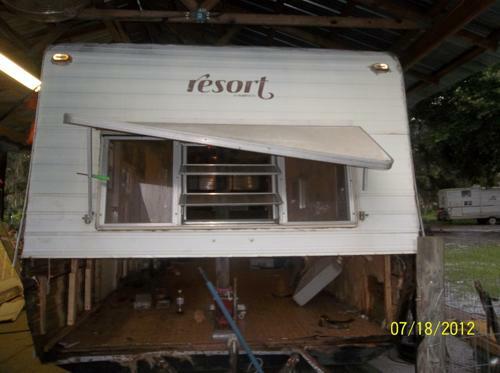 The couple that personally started and completed this travel trailer renovation was very pleased to get their new RV for $500, but after getting a look at some of the damage during the demolition it seems that $200 may have been a more reasonable offer. 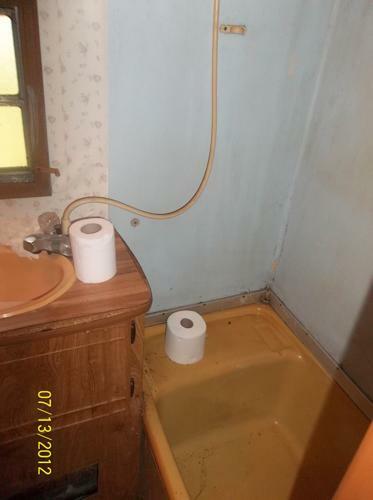 The new owners reported 1 big bonus; two free rolls of toilet paper were included with the sale! After looking over the “before” photos you may start to understand why the new owners decided that the best starting point for this travel trailer remodel was to remove basically everything right down to the studs. 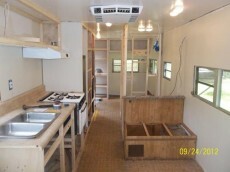 The kitchen, flooring, walls, insulation, beds, cabinets, and even the micro bathtub (16”x23”) was removed. 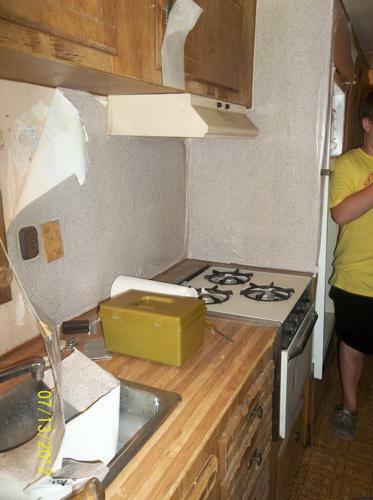 Luckily there were no traces of issues with bugs. They then began to rebuild the infrastructure of their transforming travel trailer. 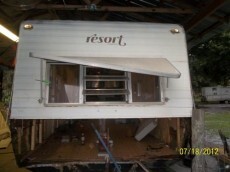 They reinforced tire wells, walls, rebuilt the kitchen cabinets, dinette, and many other parts of the RV. The exterior of the travel trailer didn’t receive the overhaul the interior had due to the exterior overall being in much better condition. There were some minor fixes with paint and some rot at the bottom that was repaired. When it was all said and done the couple had spent over 4 months completing this travel trailer remodel. 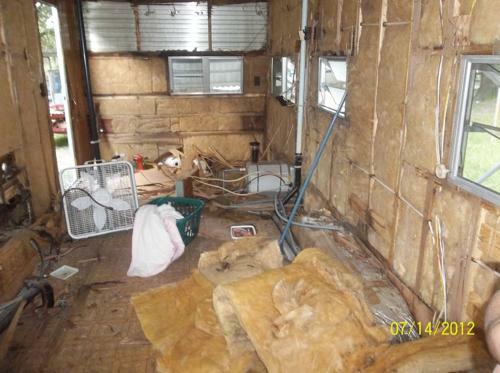 The cost is unclear but as you can see, much of the cost was curbed by “sweat equity”. The pictures speak louder then words ever could. 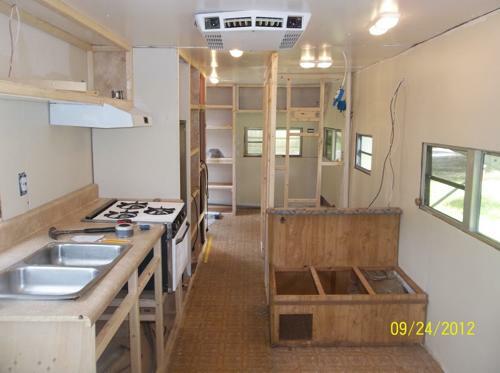 This is one incredible travel trailer remodel that took some serious patience and determination. 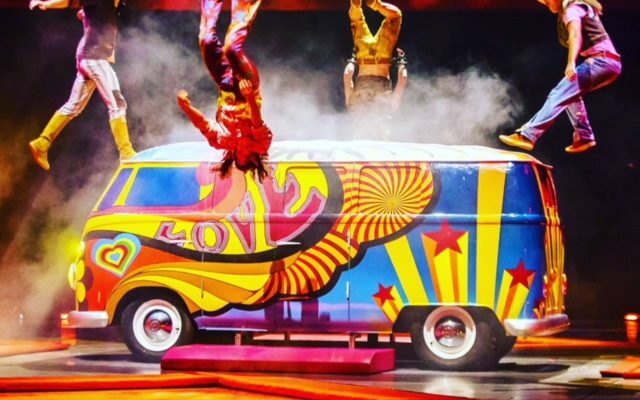 Have you ever thought about doing something like this? Perhaps already have? We would love to hear more in the comments section below! 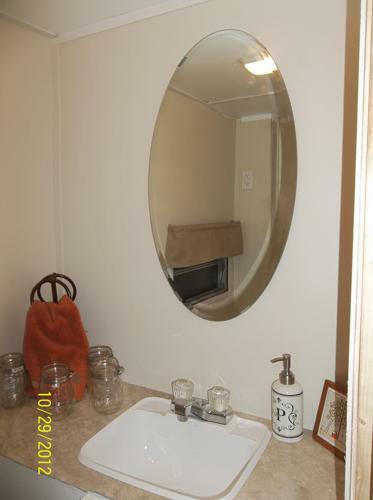 To see MANY more photos and more detailed descriptions of the work completed on this travel trailer remodel please visit Making Memories-The RV Remodel. Great Job! 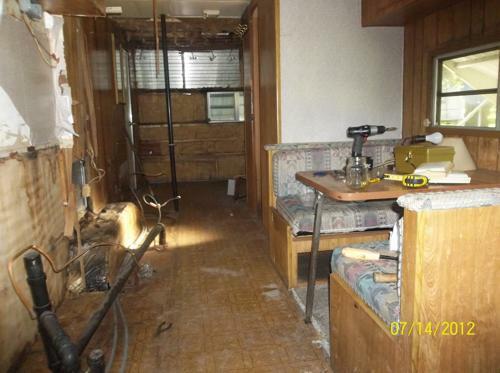 My trailer has sort of the opposite thing going on – the interior is pretty solid – just needs some paint – but the exterior has some damage and there is A LOT of rust on the chassis. 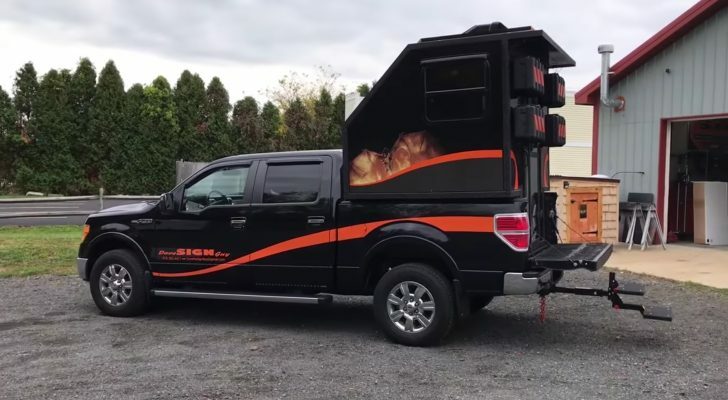 I can handle the body work outside but Is it possible to just lift the whole thing and put it on a new chassis? Too exorbitantly expensive? can I do it? do I have the talent? you don’t know until you try…if it does not turn out perfectly-who cares! 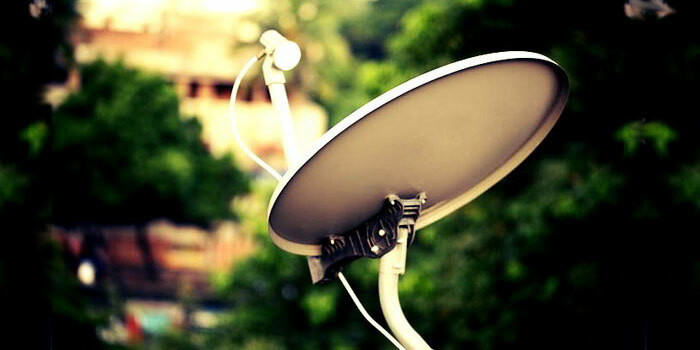 it is yours-done your way. 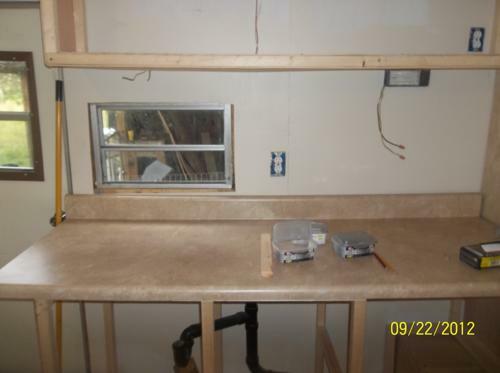 NOTHING will ever replace the pride you have in caravn and in yourself…until you buy the next project that is…. 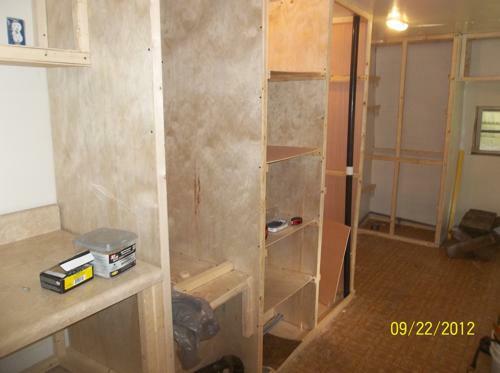 to you “what-to-be” rebuilders-go buy it and start making a dream reality…. 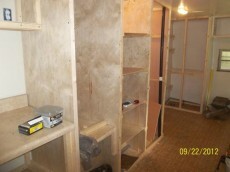 Good luck on your remodel Donica, hope you get it done by the 15th. 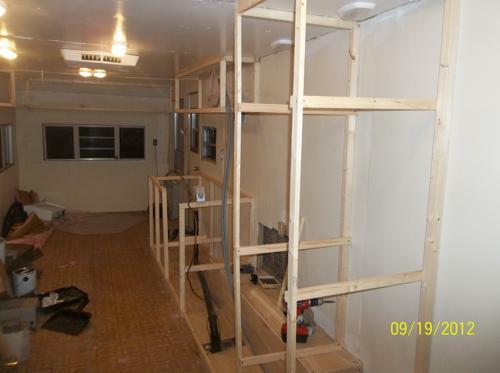 My husband and I are in the middle of the same project…rebuilding our travel trailer from the studs. We unfortunately spent a lot more money for our mess. Yes, we were taken. We have since swallowed our pride and have got down to the business of rebuilding a trailer! What was the total cost of the renovation. 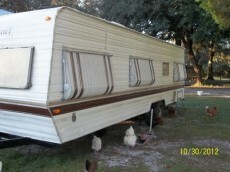 My husband and I are about to renovate a 1980 5th wheel that we purchased for $500 as well. It looks to be about the same condition so I’d be interested to know what this couple spent. You sound excited and that is wonderful! 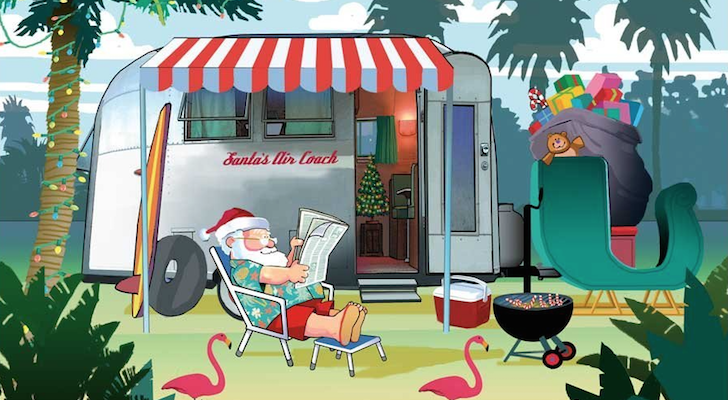 You must be very careful when buying a used RV and even more so when it has set idle for the length of time that this one has. 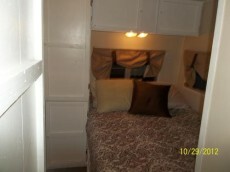 I am going to refer you to a few articles to hopefully get you more information on what to look for. 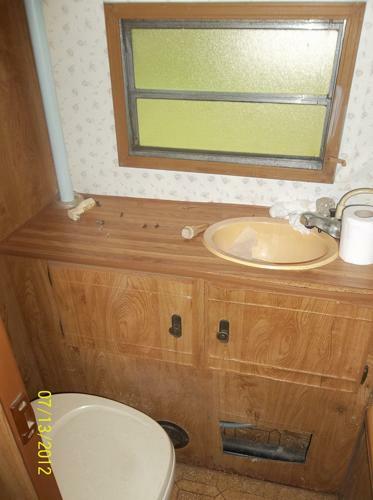 At $500 it is hard to go wrong, but without knowing what you are getting into it could cost you thousands to make it usable. 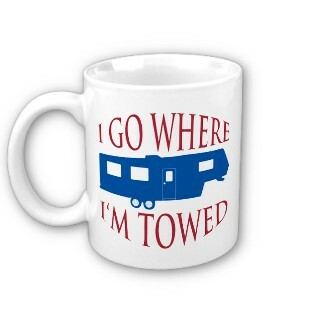 You may want to find someone that knows their way around a RV to take with you when you go to see it. 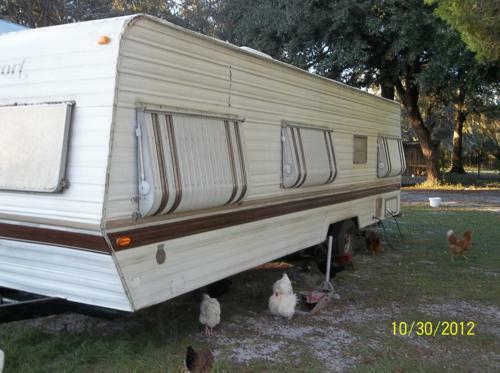 Im thinking about buying a trailer from a friend, her parents have a very old trailer that has been sitting on a campsite for 8 years untouched. Imseen it this week and took pics, some rust issues and the wooden deck is falling apart. I havent seen the inside yet so im a lil worried, i have to wait another 2 weeks for that. 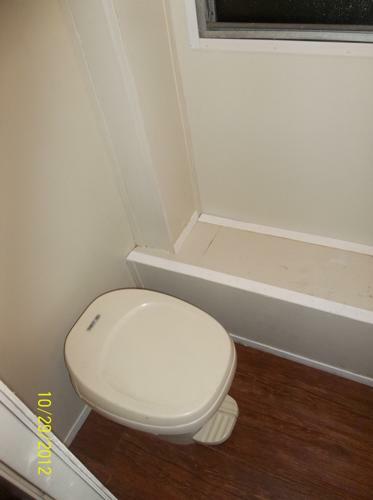 There asking $500 for it and that is INSANE cheap. I keep thing this is always what I wanted and I have the chance now but I have NO idea what to look for as far as major problems and leaks. 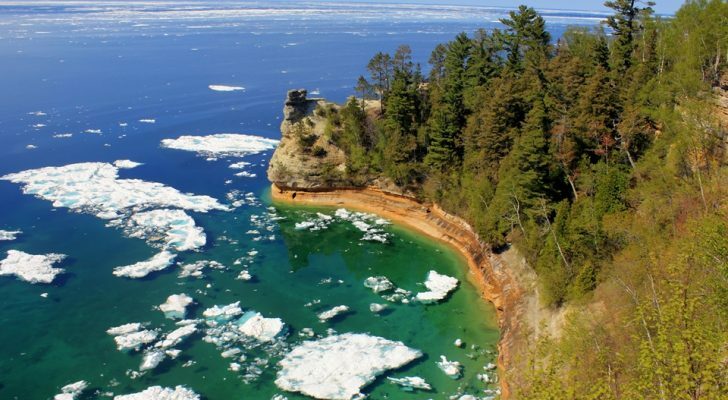 I’m a single mother and would love to have this lil vacation spot for my 12 year old daughter and me. Is this a bad idea???? Please help lol!!!! Great rebuild, wish I had the talent and ability.